[Android Security] Attacking the Android Package Manager from the past. Hi folks, here's a quick post about something I see very often in android application code. Something that could have pretty devastating effects if taken too lightly. 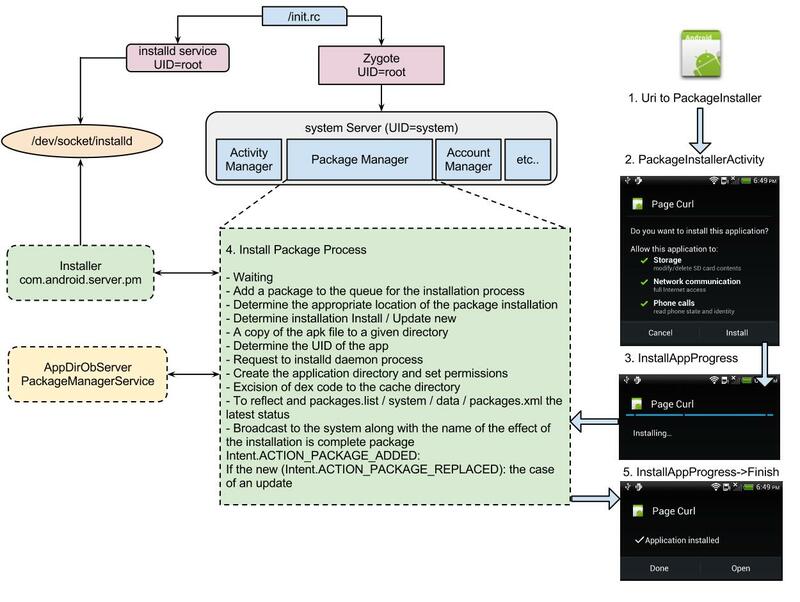 Something that I believe is known about in some Android development circles but according to some of the things I've seen in apps - it doesn't seem this abuse of the PackageManager is as widely understood as it should be. So in the following post I'm going to lay out a small trust problem folks seem to miss when dealing with Intents and the PackgeManager on Android. When developing applications for Android you often want to take advantage of other applications and services available on the hosting system. For instance you might want to develop an app that opens Google Maps on a given set of co-ordinates , or perhaps opens a browser on a given page. Of course this is very common, its even common to host applications that forward potentially sensitive information to other applications on a an android system. Often when developers need to establish communication between other potentially un-trusted applications they do so on the basis that they verify certain information about the other apps. Package Name of the application. Looks like this usually "com.something.somethingelse". Signature of the package. An application signature is essentially a signature produced by a private key belonging to the developer of the app. So this must then mean that the package name is essentially tied to the certificate as a means of representation for it (speaking critically one of the things the PackageManager must allow you to do is validate the certificate / package mapping - since this is also what is used to underpin access to the apps resources from an operating system perspective). Essentially speaking: The package manager enforces an association between a given developer (you identify via the app store); that has been allowed access to run code on your device. Okay I get how it works, why is this a problem? So that means that making sure you pay attention to the signatures that correspond to package names could be important in some contexts. Lets say you are sending a literal private key to your GPG app? Or an event to you Anti-Virus app? There is a potentially infinite number of contexts in which Intents and specifically interaction with the Package Manager's app look up functions are very very sensitive and security critical. The question obviously is of course how do attackers take advantage of this? Well by beating the legitimate applications to the punch! Install your app using someone else's package name before they can! Of course in a practical exploit this would mean installing an application that claims another package name for instance installing something under com.twitter.android (if that were twitters one) and catching, mangling all the requests to that application or forwarding off the information sent to this package to a malicious party. The android system may enforce a strong enough (as far as i know) mapping between the developer identified by the signature and the package name: But it cannot pre-empt or by any great measure prevent apps from using package names on a system before the "legitimate" apps are installed. If you're pretty experienced at this security stuff; try thinking something like DNS name squatting but with Android Application names instead :) Again, I'm not saying anything new here; just talking about something that to me seems isn't treated crucially enough and leaves many apps open to abuse! The PackageManager should for all INTENTS and purposes serve as a very humble conduit for what it says in the packages.xml. If you employ the PackageManager against this (lets say in manner that in some context lessens your ability to enact what it says in the packages.xml - the amount of trust you mis place could be pretty devastating! Woaw! That's bad; how do I avoid it? As you can see in the sample above ample effort is made in pulling out the signature and ensuring it matches with the intended one. ELF Files are charged with using their magic to perform two holy tasks in the linux universe. The first being to tell the kernel where to place stuff in memory from the ELF file on disk as well as providing ways to invoke the dynamic loaders functions and maybe even help out with some debugging information. Essentially speaking its telling the kernel where to put it in memory and also the plethora of tools that interpret the file where all the data structures are that hold useful information for making sense of the file. Anyway that's as far as I've figured it out - the actual break down is a little less simple. I'll demonstrate why this is so here and over the next series of posts in the classic "Learn things by breaking them" style. In this post and the others in this series, I will unpack some of the internals to glibc's dynamic heap data structures and associated beasts. This post specifically will start you off with no background insight on the heap (perhaps a little on ELF internals and debugging), and detail some experiments you can perform to learn how the heap works.